Today's topic is disaster, Armageddon, apocalypse. Parts One, Two, and Three dealt with much more workaday risks like default. What would happen financially in the event of worldwide panic? How would you feed your family if national currencies were devalued? There is a school of thought that says the answer is gold. Nearly every society in history has viewed gold as a store of value. There is a well-known anecdote about an ounce of gold being worth the value of a good-quality suit. 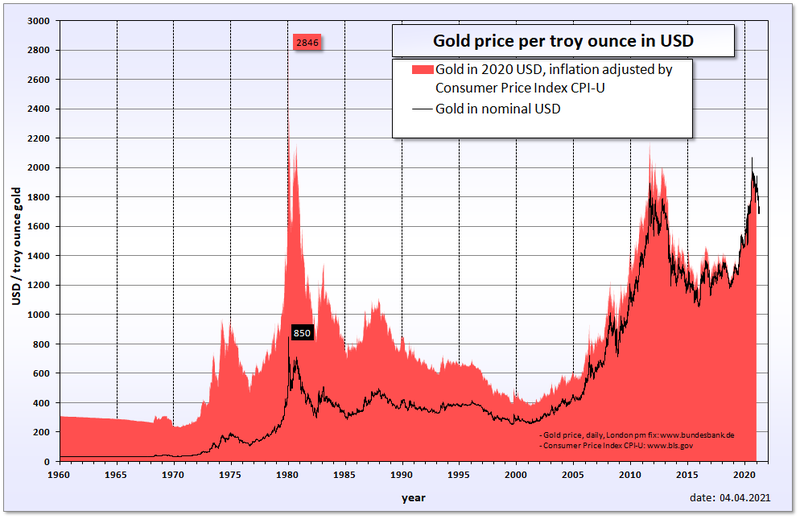 Goldbugs often use this story to illustrate how gold has, over time, kept pace with inflation. That logic tends to work with many asset categories: real estate and stocks, for example, show decent relationships to inflation over time. The question is: what time? Looking at a 50-year chart of gold prices shows that you could be way ahead or way behind depending on when you bought in. In that way gold is like any other asset. In Part Five I'll touch on real estate.